The following comments about attractions in Montpellier have been posted from individuals. We believe that the best reviews of Montpellier, France are written by travellers and holiday makers who have experienced Montpellier first hand and want to share their thoughts. Can you share yours? 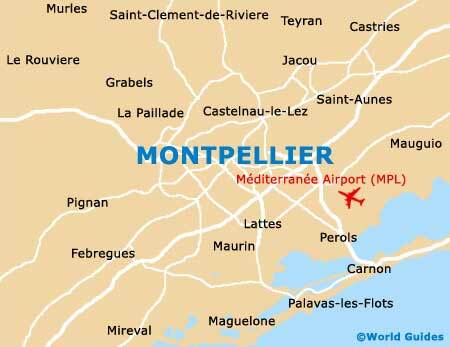 Please help us expand this section of our Montpellier World Guide. Let us know what you think about the attractions in Montpellier, France. Submit comments about Montpellier attractions here. A beautiful city with an abundance of fantastic restaurants. I would recommend La Coquille located near the L'arc de Triompe with its cous cous royale and many of the small restaurants located around Place Saint Roch such as Le Prince de Minorque. Be sure to pop into the Analog Bar on one of the side streets for a wide selection of European beers. Don't miss the people watching opportunities in the Place de la Comedie! All in all a city I would love to live in. The Town Hall in Montpellier is actually part of the much older Palais des Archeveques, which dates from the 13th century. Built in the 19th century, the Town Hall today contains a couple of museums which may well be of interest. There are some nice French paintings and some ancient Roman artefacts excavated from the city some years ago. Walking along the Promenade du Peyrou was a real highlight for me. These terraces were built in 1689 and are used as a backdrop for various events. Come here on a sunny day and enjoy the breathtaking views, which stretch as far as the Cevennes. There is also a nice equestrian statue here, depicting King Louis XIV. This is a vast public plaza and located in the very heart of Montpellier. It is shaped rather like an egg and was once a busy roundabout for traffic. It is now much nicer for pedestrians like me now that it is traffic free and you can wonder around freely. The Fontaine des Trois-Graces fountain is a really eye catching centrepiece. Please note that these Montpellier, France comments and reviews are posted by individuals and are not necessarily the views of World Guides.